Greer Hendricks spent over two decades as an editor at Simon & Schuster. Prior to her tenure in publishing, she worked at Allure magazine and obtained her masters’s in journalism from Columbia University. Her writing has been published in The New York Times and Publishers Weekly. Greer lives in Manhattan with her husband and two children. The Wife Between Us is her first novel. 1. On page 7, Samantha asks Nellie one of the defining questions of the novel: “Ever think he’s too good to be true?” At what point did you start to think that Sam might be right, and Richard might actually be too good to be true? 2. What do you think is the significance of Vanessa’s new job at an upscale clothing store? How might it affect her to still be in the upper class world she once occupied, but in a much different role? Compare and contrast her experience there to her previous job as a teacher. 3. Throughout the novel, Aunt Charlotte and Vanessa have an extremely close relationship, even when Vanessa struggles to be honest with her aunt. How do you see this relationship affecting the choices Vanessa makes? Is there someone in your family with whom you have a similar bond? 4. When did you realize who Vanessa, Nellie, and Emma actually are? How did this new understanding shape your experience of the rest of the story, and how do you think it will affect your experience if you reread the novel? 5. On page 162, Vanessa says, “I guess I thought marrying Richard would erase my concerns. But my old anxieties simply yielded to new ones.” Do you think that that is a common misconception about entering into a marriage? If so, why do you think so many men and women believe this? 6. The Wife Between Us asks difficult questions about how much someone’s past can explain or excuse their behavior. What’s your opinion? Did getting to know more about Vanessa’s or Richard’s backstory help to explain or justify their choices at all? 8. Did the end of the novel leave you questioning who was really calling the shots and who had a full picture of what was going on? Which character do you think was truly orchestrating the events that were set into action – or was there more than one person responsible? Why do you believe this? A Conversation with Greer Hendricks and Sarah Pekkanen – Plus Recommended Reading! Could you tell us a little bit about your backgrounds and why you decided to work together on a novel? 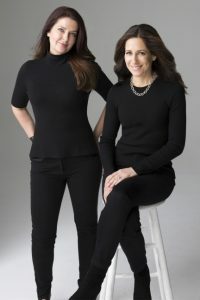 Sarah: After working together on seven novels as an author-editor team, Greer and I knew we had a unique relationship. Not only do we share strikingly similar narrative instincts and approaches to storytelling, but we have developed a strong friendship through the years. Greer: When I left Simon & Schuster, I had some editorial and consulting projects lined up, but I also knew, in the back of my mind, that I wanted to write fiction. I didn’t reveal this secret to many people, but I did tell Sarah. When she approached me about writing together, I initially worried it would be copping out to work with someone else, that it would be less of an accomplishment. Then I realized it would be crazy to turn down this opportunity. While I had published a few personal essays and edited hundreds of books, I knew I had a lot to learn about writing an actual novel. Plus, I adored Sarah and the collaboration sounded a lot more fun than working alone. Sarah: I’ve written everything from investigative newspaper series to magazine features to short stories to seven solo novels. Challenging myself and growing creatively has always been vitally important to me. But it was a purely instinctual decision to ask Greer if she wanted to write together; some inner voice told me that as a team we could craft something special. That gut feeling sprang not just from intuition, but from the foundation we’d built over the years. When we discovered we were both itching to write a psychological page-turner – one as twisty, complex, and fresh as possible – it almost seemed predestined. Do you have any writing tips that you’ve found helpful, particularly for collaborating on a book? How did you navigate your individual opinions or writing styles? Greer: Unlike most writing duos – who take on alternating chapters or different characters – we craft every line together. The third partner in our collaboration is Google Docs and Hangout. These tools let us write our manuscripts together in real time while we simultaneously talk. Sarah: We also visit each other’s cities to plot every month or so. We camp out in a hotel room for a 36 hour stretch and “Homeland” the walls with giant Post-It notes (I like the walls to be as messy as possible; Greer prefers them to be neatly organized). Greer: Because we don’t write separately, every idea grew and developed from our shared consciousness – we speak for hours prior to each writing session, creating and rejecting and fine-tuning ideas. At this point, we often joke that we have one mind. It’s not unusual for us to come up with an identical thought or word choice at the exact same time. What inspired you to write a dark, twisty thriller like The Wife Between Us? Greer: We both studied journalism and psychology, which makes us curious students of human nature. In The Wife Between Us, we wanted to explore how memories are colored by the lenses through which we view our worlds, and how people can share an experience but carry away markedly different perspectives and emotions. Sarah: Little did we know that it would take every ounce of our collective brainpower to keep track of the literary kaleidoscope we wanted to create! What is the best part of working together? Any bad parts? Greer: The best part is each other. Sarah: The worst part is technology glitches. What’s next for you – are you currently working on another book together? If so, can you share any details of what it’s about? Sarah: We are hard at work on our next book, tentatively titled You’re Invited. It’s another psychological thriller with strong female protagonists. Greer: We can’t reveal much more about it, partly because, like The Wife Between Us, it’s filled with unexpected twists and turns. The Story: Every night when a woman goes to sleep, her memory is erased. When she wakes up, the man beside her – the same man who has shared her bed for years – is a stranger. Why Read It? This riveting concept opened up hours of discussion for us, and helped spark our interest in exploring the slippery and subjective nature of memory as a theme in our novel. Even if we think we are in full command of our remembrances, how accurate can they truly be? The Story: The idea that there are two sides to every story is not a new one, but in Lauren Groff’s absorbing Fates and Furies, a complicated marriage is explored in a wholly original way: part Greek fable, part literary suspense. Why Read It? The dual perspectives in this novel was one of the major influences behind The Wife Between Us. Filled with twists galore, Fates and Furies also features a favorite plot of ours: a dysfunctional relationship with a vengeful wife. The Story: This novella appears in Stephen King’s Full Dark, No Stars. It begins on an ordinary night, when a wife goes out to the garage and discovers a box of horrors tucked beneath her husband’s workbench. He is away on a business trip, but he may be coming home soon. In the short span of time that follows, she must wrestle with competing urges: Uncover the truth about the man she married a quarter-century ago, or continue living in blissful ignorance? Why Read It? This is the same question our narrator grapples with during her marriage, until she can no longer ignore an inner voice crying out a warning. The Story: We are often drawn to books that feature unassuming heroines whose lives are inextricably altered when they fall for controlling older men. In the case of Daphne du Maurier’s Rebecca, the unnamed young protagonist meets Maxim de Winter, a handsome and wealthy widower. When the second Mrs. de Winter finds herself increasingly haunted by the shadow of her mysterious predecessor, she becomes determined to uncover the dark secrets that threaten her happiness. Why Read It? 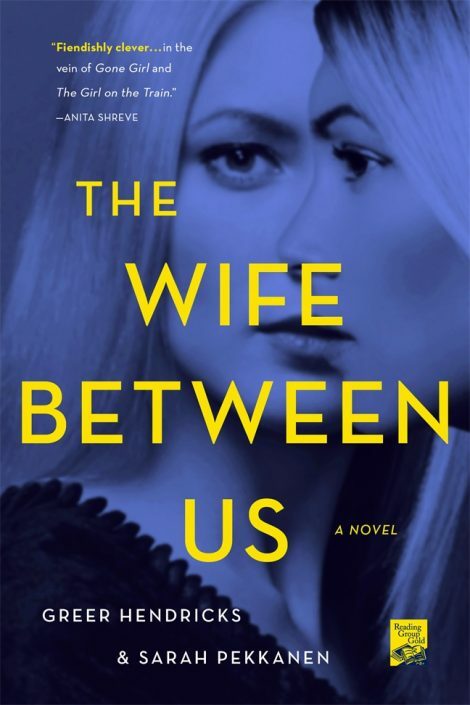 It wasn’t until months after we’d completed The Wife Between Us, in which a first wife is obsessed with her replacement, that we realized the parallels to Rebecca, in which the dynamic is flipped and a replacement is consumed by thoughts of the first wife. The Story: Few writers are able to combine page-turning suspense with truly relatable characters, but Liane Moriarty manages to do this in book after book. What Alice Forgot is one of her earlier novels, and the premise is that a head injury forces the protagonist, Alice, to forget the past ten years. Why Read It? Alice must now reconstruct the previous decade and figure out how she ended up with the life she has – which is a dilemma that our character Vanessa also confronts. The Story: What happens when a knock on the door shatters a seemingly perfect marriage? Anita Shreve, who writes with an uncommon grace, explores the inner and outer faces of a relationship from the point of view of a wife grappling with dual losses: Her husband’s sudden death exposed his secret life. Quiz: Which Author Is Which? 1. Which one of us travels in heels and which one wears sneakers? 2, Which one of us relaxes by listening to podcasts and which one relaxes by reading screenplays? 3. Which author cannot stand having leftover food in her hotel room and which one cannot stand to place her bare feet on hotel room carpets? 4. Whose exercise goals include climbing more mountains and who wants to shave time off her four-mile runs? 5. Which author has been a vegetarian for 25 years and which one routinely eats steak? 6. Which one of us is relaxed about flying, but always checks for the exit rows when she boards, and which one of us is a nervous flyer who is taking lessons to learn how to pilot an airplane? 7. Which author has a brother named Robert and played field hockey in high school, and which author is a terrible cook and likes to write in Lululemon sweats?